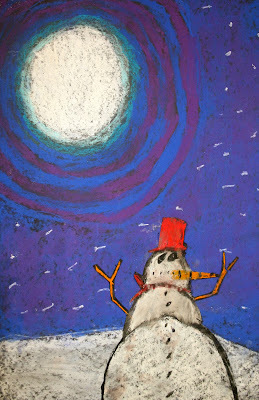 FLYING CRAYONS and other adventures in my elementary art room: WOW WHERE DID DECEMBER GO???? WOW WHERE DID DECEMBER GO???? 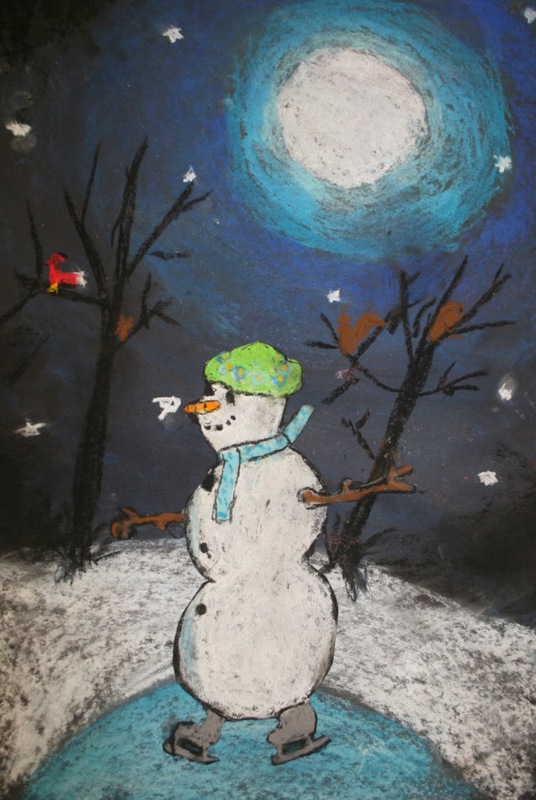 I saw these on another art teachers blog and thought they would be perfect both for the holidays and to cover some of the key ceramic construction techniques we try to hit at this age level. I love the facial expressions on them. After all the firing was complete we hot glued a pipe cleaner to the ear muffs for a little extra detail. I think that next year if time allows we will do some finger weaving and make a scarf to attach to the neck. Whenever possible I like to make art connections to children's literature. The kids seem so much more invested in their work. 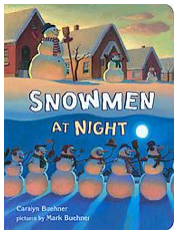 The book "Snowmen at Night" provided wonderful examples of shading and blending techniques to create color value and three dimensional shadow effects. It also was a great way to review action figure drawing with the fourth graders.